Anat Shahar: Join a peer-mentoring group! 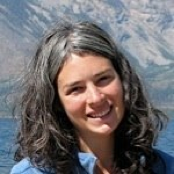 Anat Shahar is a Staff Scientist at the Geophysical Laboratory at the Carnegie Institute of Washington. She is an isotope geochemist by training but has applied her skills to many fields of study – including experimental petrology, mineral physics, and cosmochemistry. The paper below speaks to one of her current research interests: how pressure and temperature effect the isotopic ratios of materials during planet formation and differentiation. Shahar, A., V. J. Hillgren, E. D. Young, Y. Fei, C. A. Macris, and L. Deng (2011) High-Temperature Si isotope fractionation between iron metal and silicate, Geochimica et Cosmochimica Acta, 75, 7688-7697. I met Anat recently when she visited Wash U. to give a talk. At the end of lunch with myself and fellow graduate students, she suggested to everyone to consider attending the Women in Science Seminar at LPSC. I had a feeling she might be willing to be interviewed for the blog, and she graciously responded with the great advice below :). 1. How did you first get connected with planetary science? When I started graduate school I had no experience in planetary science. I had majored in geological engineering in undergrad and was getting my Ph.D. in geochemistry. However, my Ph.D. advisor was a cosmochemist and started discussing meteorites with me. The thought of working on objects that were 4.5 billion years old really excited me and I quickly started to become interested in the formation of the solar system and planet formation. While these projects were not part of my Ph.D. research initially, I was so motivated to work on them that it changed the trajectory of my research to this day. The most important and difficult task I have is balancing my work and family life. I have two young children (ages 4 and 2) and a husband with whom I love to spend my time. Finding a balance between these two worlds did not come so easily to me but I have since learned that it is possible to do both. When I get home from work I don’t check my email or think about work until after my kids go to sleep. I also try my best not to work on weekends so that I can spend quality time with my family. Because I have less time than many of my colleagues to spend on my work, I strive to be extremely efficient at work. 3. How did you choose your current institution? I was eager to work at a place that had a sense of community and an appreciation for a balance between work and family life. As an early career scientist I also looked for a place that would allow me to follow my own research directions. I had worked at the Geophysical Lab as an intern in college and was excited to return to the collegial atmosphere. When I was applying for jobs I was sure that I wanted to work at a university because I liked to teach and was eager to have graduate students. While the Carnegie Institution is not a traditional teaching organization I have become an adjunct professor at a local university and can now fulfill those desires. There are always ways to make a job more ideal. 4. Do you have any advice for students and postdocs just starting their career in planetary (or related) science? Join a peer-mentoring group! Find some fellow students and postdocs and meet for a few hours every few weeks and talk through your issues. You will be amazed at what comes out of it. As a young female postdoc with a child at home, I felt as though I could not find my cohort. While the postdocs were going out for drinks or just staying late to do work, I had to pick up my son, make him dinner, bathe him, put him to bed, and make lunch for the next day. By the time this was done I had no energy to revise a paper, read the latest journal, or go back to the lab to check on my experiments. I knew that I was not the first to tackle these problems but it still seemed rather lonely and frustrating. I felt as though I was being an imperfect mother and an imperfect scientist, both of which bothered me immensely. It was at this point that I was approached and asked to join a group of young female postdocs with children. I was amazed that there were others like me that were also having a hard time putting it all together, and that they were willing to talk through the issues they and I were having. So I made a commitment to three other women that I would come to a meeting once every two weeks and talk about these issues while giving advice to others based on what I had learned so far. We all learned a tremendous amount about our careers, our goals, and ourselves. If you would like to be interviewed for the 51 Women in Planetary Science series, feel free to contact me or any of the blog contributors. We are approaching 51 interviews but we have found these interviews to be such a great resource that we would love to continue them as long as people are willing to be featured.